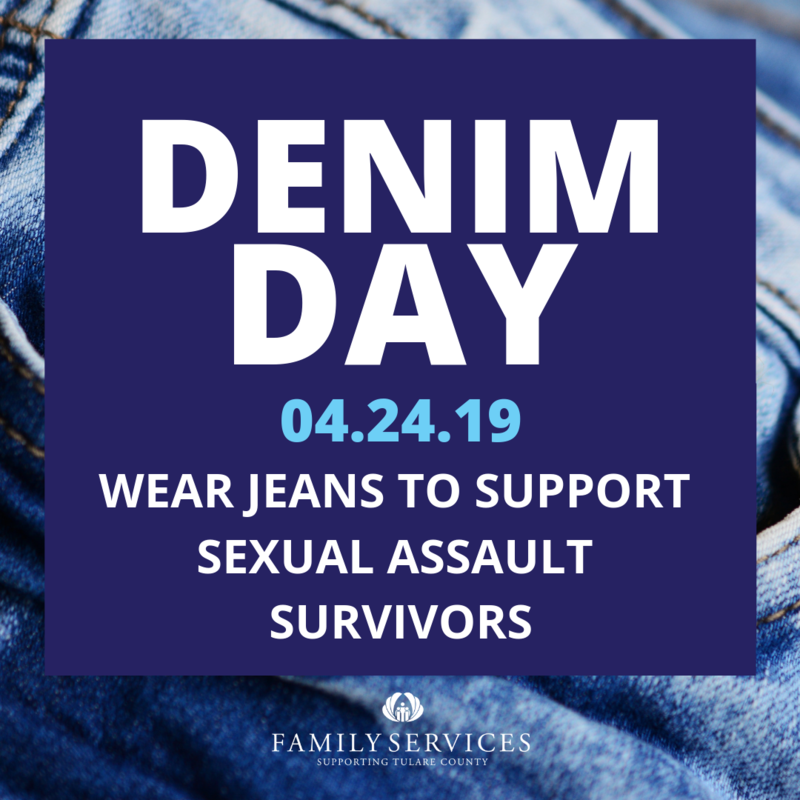 Join Family Services for Denim Day by wearing jeans on Wednesday, April 24 and participating in our Dollars for Denim Campaign! Denim Day focuses on raising awareness about sexual violence. Participating is an opportunity to show solidarity with survivors of abuse in Tulare County and around the world, and encourage open discussion about how we can work in our personal and professional lives to reduce violence in our communities.